Researching and hiking in old growth forests has forced me to rethink the truth in nature. I grew up hiking around Virginia, in forests I generally thought of as untouched by humankind. But that was largely untrue. The wilderness of my youth was just the regrown, homogenized environment that emerged after the earth was stripped of timber. It was the scar over a great wound, and in some cases was a vastly different environment from what had existed here before. 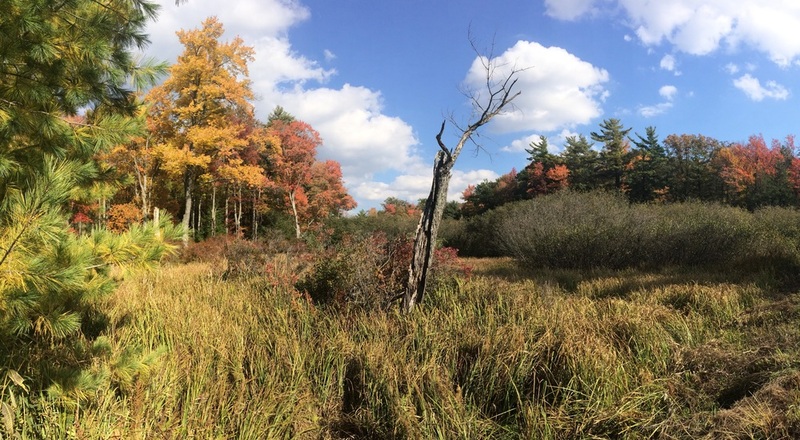 Bear Meadows, near State College PA, is a small bog left untouched during the last glacial period, creating a biological time capsule 10,000 years old. It was spared human intervention only because its thick layer of soggy peat rendered it inaccessible. Barbed wire marks the outer boundary of an old growth forest. Old growth forests are islands of unspoiled wilderness, ecosystems that were never dismantled for the timber used to construct an empire. I'm hiking in some to get a best-guess glimpse into what the world might look like after people leave.